Theresa M. (Santella) Barton, 77, of Hudson, Mass., passed away three days shy of her 78 birthday, on Saturday, June 24, 2017, at UMass Hospital in Worcester with her beloved family by her side. She joins her husband of 54 years, Alfred R. Barton, who predeceased her on July 23, 2015. Theresa is survived by her daughter, Tammy A. Johnson and her husband Todd; their children Alexandra, Samantha and Calvin, all of Hudson; and her son, Michael R. Barton and his son Michael Joseph, both of Waltham. She also leaves behind many loving friends. Theresa was born in Marlborough, Mass., the only daughter of the late Michael J. and Marion (Palermo) Santella. She was raised in Hudson, where she graduated high school and later married the love of her life Alfred Barton. Theresa was self-employed, operating T Business Services, doing bookkeeping for over 26 years until her passing. Theresa was a lifelong member of Christ the King Church in Hudson until the day it was closed. She was a volunteer at Marlborough Hospital Auxiliary, the Hudson Senior Center and an active member of the Sons of Italy. She enjoyed knitting, cooking, spending time with her family and spoiling her grandchildren. A period of calling hours will be from 4 to 7 p.m. Friday, June 30, 2017, at Tighe Hamilton Funeral Home, 50 Central St, Hudson, MA. A funeral service will be held the following day at 10 a.m. Saturday, July 1, 2017, in the Church at Tighe Hamilton Funeral Home, followed by a procession to Saint Michaels Church for Final Committal Services. In lieu of flowers, memorial donations can be made to Fresh Start Furniture Bank of Hudson. Moose "Rene" Morin passed away May, 15, 2017, at the age of 80. He was a man of strong faith with a huge heart, a love for all things zesty in life, a deep commitment to family and friends and an unmistakable laugh. A proud University of Alberta alum, he earned his engineering degree in 1959 and enjoyed a long and notable career. He loved his work which took him all around the world; he founded Explotech Engineering in 1978 where he worked until the end of his life, as well as Instantel in 1982, and spent many years serving the Canadian Explosives Association. Moose loved to travel. He and Doris spent the past 20 years checking destinations off their bucket list, including South Africa, New Zealand and Australia, India, Thailand and Cambodia, China, Egypt and much more. They enjoyed spending winter months in Mexico where their families and friends would join them to be treated to Moose’s legendary cooking. He could make an incredible meal out of just about anything. He leaves behind his wife and best friend of nearly 43 years Doris (Amadori). Moose was a proud, beloved father to Marc, Carla and Paul; he was equally proud of his children-in-law, Jess, Matthew and Lara. He was a loving ‘Papoo’ to his grandchildren Kenzie, Talia, Charlie, Joseph, Andrew, Lola, William and the little princess on the way. His family will miss him forever. He also leaves behind his siblings Andre (Myra), Florence (Richard) and Francoise (Norm); his in-laws Mrs. Ines Amadori, Dan (Barb), Rita (Jean), Nancy (Frank) and many cousins, nieces and nephews. He was predeceased by his parents Benoit and Yvonne, his father in law Ted, his sister Claire and his nephews Rene, Benjamin and Marc. Moose had a wide and wonderful circle of friends from every part of his life who have shown their love and support in so many ways over the years. They are too many to mention by name, but if you can measure a life by the people in it, Moose was very rich indeed. Ronald J. Ravizza, 79, of Berlin, Conn., husband of Christine (Michalski) Ravizza, passed away Saturday, April 29, 2017, at his home. Born in New Britain, son of the late James and Lillian (Massirio) Rivizza, he was a lifelong Berlin resident. Ron was a graduate of Hall High School, class of 1955, and served with the 103rd Fighter Group of the Connecticut National Guard. He founded Ravizza Brothers Blasting of Berlin and Cromwell with his dad and served as president of the company. 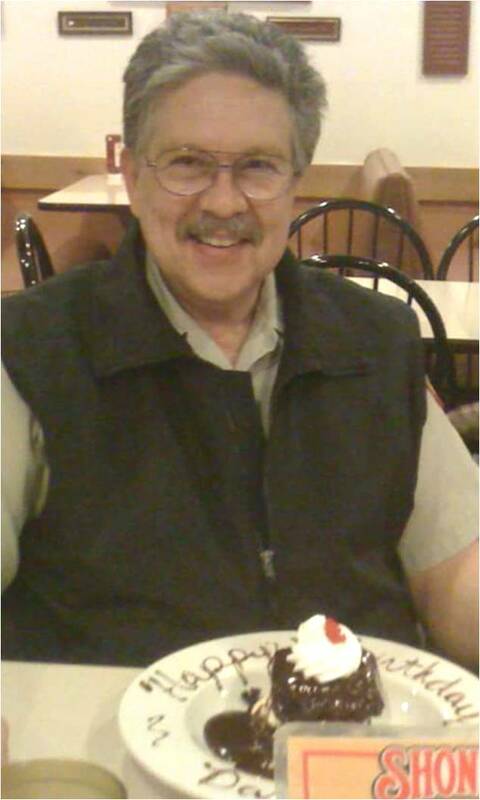 Ron was a member of St. Paul Church, Kensington; the Connecticut Boxing Guild; a member and past president of the New England Chapter of the Society of Explosive Engineers. An avid UCONN Basketball and New England Patriots fan, he loved horse racing the most. Besides his wife Christine, he leaves a daughter, Kendra Ravizza, of Middletown; a brother, Alvin Ravizza, and his wife Nancy of Berlin; a granddaughter, Amber Ravizza, of Cromwell; a great grandson, Kevin Ravizza; a former daughter-in-law, Sharianne Kroeber, of Middletown; and three nieces, Tracey, Sharlene and Shelly. Besides his parents, Ron was predeceased by a son, Kevin Ravizza. Ron's family expresses extreme thanks to his faithful, longtime caregiver, Josh Clifford and to all of his other caregivers for the past six years. Calling hours are 9:30 to 11 a.m. Wednesday at Carlson Funeral Home, 45 Franklin Square, New Britain, followed by a Mass of Christian Burial 11:30 a.m. at St. Paul Church, Alling Street, Kensington. Burial will follow in Maple Cemetery, Berlin. In lieu of flowers, donations may be made to the Parkinson's Disease Association, PO Box 718, Old Mystic, CT 06372. 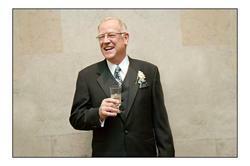 Please share a memory or note of sympathy at www.carlsonfuneralhome.com. Darrell Wayne O’Brien, 62, of Gassaway, W. Va., passed away peacefully Tuesday, Feb. 28, 2017, at his residence with his family by his side. He was born March 6, 1954, in Richwood, a son of Mary Ethel Rose O’Brien and the late Leonard Marion O’Brien. He was also preceded in death by his first wife Debra Ann Cogar O’Brien. Darrell retired March 31, 2016, with over 25 years as a supervisory inspector for the WVDEP Office of Explosives and Blasting. He was an ISEE member and Past Master of Addison Lodge #116 Webster Springs, and a 1972 graduate of Webster Springs High School. Darrell enjoyed restoring old cars, fishing, hunting, wood working, leather craft, camping, traveling and spending time with family and friends. He is survived by his wife Rose E. Stalnaker O’Brien; children: Shalimar Nicole O’Brien, of Bridgeport, W. Va.; Beverley D. Van Reenan, of Salt Lake City; James W. (Jacki) Van Reenan, of Clarksville, Tenn.; and Jared S. (Beth) Van Reenan of Huntington, W. Va.; brother Doy Allen (Beckie) O’Brien, of Hopewell, Va.; grandchildren: Ross Van Reenan, Parker Van Reenan, Avery Van Reenan and several nieces and nephews. A gathering of family and friends was held on Sunday, March 5, 2017, at Morris Funeral Home, Cowen. A Masonic Graveside Service followed at Hanschumacher Cemetery, Upper Glade, W. Va.
John Smith Dunk, 90, NYS Rte. 3, passed away Tuesday, Nov. 8 at the Samaritan Summit Village where he had been a resident since Sept. 11, 2016. John Smith Dunk was born in Henderson, New York, on Sept. 23, 1926. He is the son of the late attorney Claude H. Dunk and Francis Smith Dunk. John attended kindergarten at the newly built Henderson Central School. After kindergarten John attended early grades in Syracuse, New York. John returned to the Watertown school system and was a 1944 graduate from Watertown High School. After graduation, John was employed by the New York Telephone Co. as a lineman. In 1946 he joined the Army/Airforce as it was then called. Most of his service was in Germany. Upon his discharge in 1948, he entered Syracuse University, where both his parents attended. John graduated June 4, 1951, with a bachelor’s degree in civil engineering. After graduation John was employed by the E. I. DuPont De Nemours Company as a sales and service representative for their explosives products division. Upon John’s retirement from DuPont, he began his own explosives business, St. Lawrence Mine and Quarry Supply, from his home office at Richards Drive, Watertown, New York. In July 1966, John moved his office to Depot St., Adams Center, New York. He converted the depot into offices. The then functioning railroad delivered his manufacturing products to his doorstep. To meet the needs of his expanding business, John had an office and manufacturing plant built at Kellogg Hill, June 10, 1967, and renamed it St. Lawrence Explosives Corp. John’s previous office on Depot Street is currently a restaurant named Depot Café. John Dunk married Phyllis Dunk November 24, 1951. They separated in 1960 then divorced. They had two children, Erik and Deborah. John contributes to and supports the conservation of nature, health and the fine arts. He continues his support to health and has donated his body to science to promote healing and cures. John was also a longtime supporter of the Syracuse Symphony. Surviving are his wife Phyllis who he remarried in 2010, his son and daughter, four grandchildren and five great grandchildren. John’s longtime companion Veronica Blizzard predeceased him on Feb. 23, 2007. A memorial service will be held at the Carpenter Stoodley Funeral Home, Belleville on Saturday, Nov. 19 at 3 p.m. Calling hours will precede the service from 1-3 p.m. at the funeral home. Instead of flowers, contributions are welcome to Memorial Sloan Kettering Cancer Research, 1275 York Ave., New York, NY 10065. Online condolences can be made at www.carpenterstoodley.com.